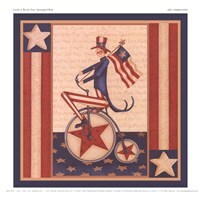 American artist, Leslie Beck is an award-winning Folk Art designer, teacher and author. 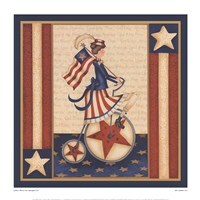 She’s the founder and owner of Fiber Mosaics, Inc. She has gained worldwide popularity among consumers with her exceptionally versatile American folk style. 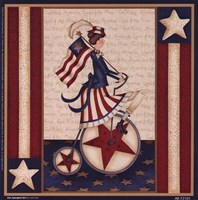 her licensees numbers more than 20 and her licensed designs can be seen on hundreds of gift-ware, dinnerware, wall coverings, bath and kitchen textiles, banners, flags, and other home décor accessories featured in major retailers across the United States. Her art is found in many museums, collections and galleries throughout the world. 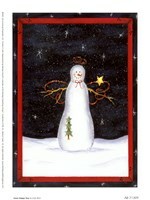 They are highly priced by many discerning collectors because they can be used to decorate any space. Her subjects are well chosen, particularly evocative and well drawn. All her paintings are delicately executed with a subtle build up of colors to give a stunning look. Leslie has painted several pieces of art that can be seen in many places around the world. She’s a much sought after artist because she willingly takes projects regardless of their complexity. Her art is easily recognizable among the works of other artists because of the unique style with which they are painted. Even when she was still young the teachers and fellow pupils noticed her unique talent and she always received positive comments from them. Her work has greatly benefited many upcoming artists. Her keenness to detail is of great value to customers who require much detail in the art that they purchase. This keenness to detail also makes her art to be more realistic. Leslie is much delighted because she’s able to inspire others.